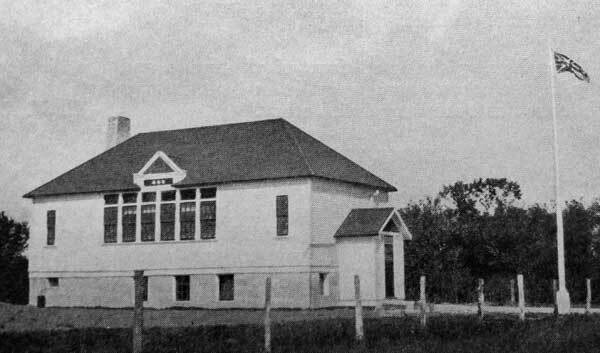 The Tobacco Creek School District was organized in March 1894 and a one-room schoolhouse was constructed at NE29-5-5 west of the Principal Meridian, in the Rural Municipality of Thompson. 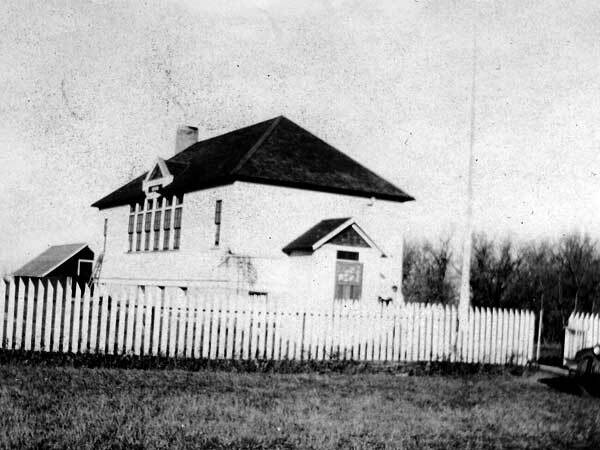 In 1927, the school was moved to a two-acre site south of Tobacco Creek, the old building was sold at auction and a new structure was constructed. This building was destroyed by fire on 25 December 1952. A local residence was moved to the site as a temporary school while a replacement was built. It opened in 1953. Student enrollment dwindled through the 1950s and the school closed permanently in 1959. The building was moved to Carman where it was converted into the Jehovah Witness Hall. The district was dissolved in 1961. 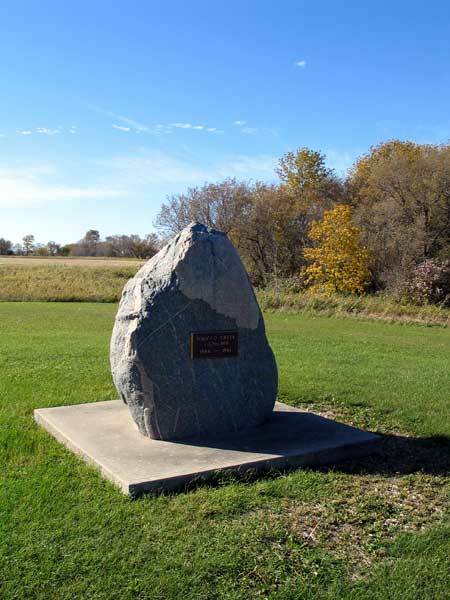 In June 1985, a monument was unveiled at the former school site. Among the teachers who worked at Tobacco Creek School were Miss M. E. Thomas (1894-1895), Miss E. Campbell (1895), Margaret Calder (1895-1896), William Yuill (1896-1897), Barbara Stratton (1897), Kate Lucy (1898), Miss M. Hugg (1898), Mary E. Campbell (1899-1900), Albert Malcolmson (1900), Eunice Saunderson (1901-1902), John A. Weir (1902-1903), Clara Galloway (1903-1905), Anna Hutchinson (1905), Eva Fraser (1906), Miss Berry (1907), Miss Allen (1908), Dora Faryon (1909-1911), Del Wheaton (1911-1912), Doubleday (1912), Sydney H. Sutton (1913), Annie Phillips (1914-1915), Miss McDonald (1915), Minnie Sanderson (1916-1917), Frances Stevenson (1917-1919), Miss Roe (1919-1920), Edna Matheson (1920), Miss Hurton (1920-1921), Mr. E. B. Wiltse (1921-1922), Edith Spurway (1922-1923), Jean Richardson (1923-1924), Miss Lang (1924-1926), J. Fred Woods (1926-1928), Edna Robertson (1929), Miss E. O. Lewarton (1929), Gwen Sanders (1929-1931), Adelaide Johnston (1931-1936), Miss Sprott (1936-1937), Miss Pinn (1937-1938), Elizabeth McIvor (1938-1941), Verna Todd (1941-1942), Deane McMillan (1942-1943), Jean Jackson (1943-1944), Beatrice Fraser (1944-1945), Mary Taylor (1945-1947), Fern Banting Gibson (1947-1950, 1957-1959), Boris Fedak (1950-1952), Gladys Howie (1952-1954), Joan Hodgson Goldsborough (1954-1955), and Wilma Skeavington (1955-1957). Source: Education Department Report, 1927, Manitoba Legislative Library. GR8461, A0233, C131-2, page 3. We thank Joan H. Goldsborough for providing additional information used here.